Food and drinks are always best followed up some quality board gaming time. After all, what better dessert is there than a sweet helping of VICTORY? Team up again strangers or pit yourself against your friends – we guarantee you’re sure to have the time of your life! 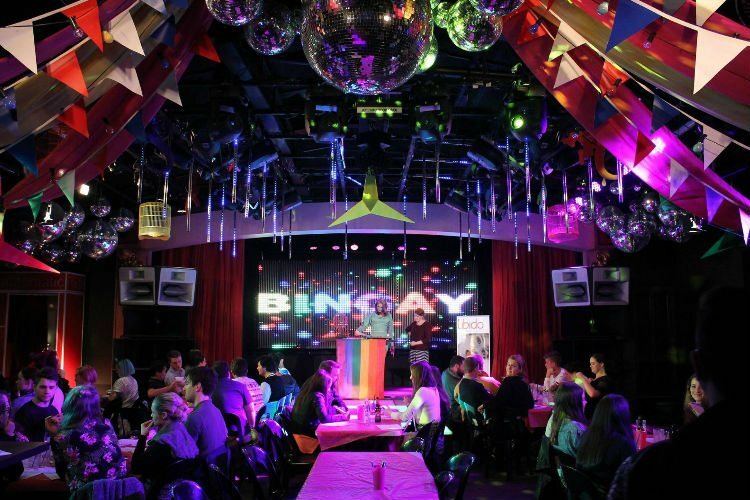 Famously thought to be the Southern Hemisphere’s oldest gay nightclub, Connections continues to attract all sorts of crowds with its wonderful atmosphere, exotic theme nights and general all-round fun factor. This time, however, we’re strictly here for the Bingay. It’s basically like normal bingo, except with far more drag queens. Plus, you get free pizza! What’s not to like? How’d you get on at Connections Nightclub? Write a review on True Local! Carpe Coffee is colourful, carefree cafe chocked full of old-school video games, assorted figurines, knickknacks, cool artwork, and even a feature wall of VHS and cassette tapes! It’s basically your new happy place, and especially so on the last Saturday of every month. That’s when Playup Perth is held, which is involves testing out brand new and in-development board games. It’s awesome! Is Carpe Coffee your new favourite cafe? Let us know right here! Forget dry land; it’s time to take to drop anchor and conquer your friends at sea! The setting is Boat Collective, Perth’s leading floating bar experience, and the game is giant Jenga! Book your place and indulge in some fine food and drink as you prepare to prove your mastery of moving wooden blocks around with supreme dexterity. How’d you find Boat Collective? Drop a review on True Local! Definitely on the classier side of Irish pubs, Murphy’s is famous for both its exceptional service and its hearty, thoroughly delicious grub. The Thai-style salmon fishcakes are sublime, and the beer-battered chips are a must have with any meal (even if it already comes with chips). Monday night is trivia night, so head down and prepare to have your general knowledge firmly put the test. Game City is a magical place where countless video games, board games, and ridiculously intricate pinball machines live side by side in playful harmony. There’s always something going on at this cafe, whether it’s a Tekken tournament or a good, old-fashioned LAN party. Why, it’s even partial to the odd anime screening! The food is really good as well, especially the pulled pork burger. Give it a try! Did you crush it on Street Fighter? Leave a quick review! This lot should keep you playing for hours. Don’t forget to review them afterwards!